For something that is often just an italicised collection of four letters that follows an act’s name on a festival or club lineup, the phrase ‘Live’ is one that has never carried as much significance as it does today, making it one of the most important four slanted words in all of electronic music. To make sense of why the live show is so important in today’s electronic day and age, it’s worth putting the landscape that’s currently in place in context. We’re at a crossroads of sorts where there a number of artists that are currently taking the festival and club circuit by storm off of careers that are predominantly based off a handful of tracks that grew in popularity online and then translated into international DJ gigs. While their tracks definitely deserved the attention that they originally garnered for themselves and most if not all the DJs in question are taking advantage of their platforms to deliver with some of the most unique and high energy sets we have seen in quite a while, it’s also fair to say that the whole thing has become rather diluted. That’s not to say that new talent is a bad thing, it most certainly is not, but it’s more so to say that when we’re encountered with the same format over and over it all becomes a bit boring and repetitive, through no fault of the artists themselves, but maybe more so promoters that are in it for a quick buck with no sense for the harm diluting can do to some artist’s and genre’s reputations. The live element to festival and club lineups takes the sense of robotic sequences, repetitiveness and unique sounds that we hear on a constant basis in DJ sets and spits them back in one of the most rhythmic and fluid motions we’re likely to hear. Simply put, you put more on the line when you play a live set, not only because you’re eliminating the presence of other artists’ music, but the window to fail is about ten times as wide as it is during a DJ set. Live sets bring a musicality to electronic-based events that is missing in DJ sets and it legitimises the minds behind them not only as stand out acts, but as full blown musicians, despite the fact that a few out of tune ukuleles may be replaced by a drum machine or two. From an outsiders perspective, a group of individuals vibrating in unison to one individual operating a set of CDJs or turntables looks like one of the most primate scenes one could come across and while it’s entirely true that someone with that mindset is most definitely as narrow minded as they come, the sight of someone like Four Tet, Bicep or Aphex Twin captivating a crowd with a live set is something that can’t be argued with, despite the existence of the same electronic based sounds. This summer sees a plethora of DJs and live acts playing across a multitude of festivals worldwide and that’s exactly why the live act is more important now than it ever was. It’s not there to rival DJ sets, it’s there to give the music they all play a sturdy backbone in the grand scheme of things. When one sees DeFeKT unleash the kick drums in one of his many techno infused electro tunes, you can’t help but get roped into the magic that’s unfolding right in front of your eyes, an action that’s just as special as any DJ dropping a huge track, but one that’s so much clearer and one that’s ultimately much harder to pull off. Sure, there are most definitely live acts that would struggle to even comprehend how Ben UFO mixes some of the tracks he does together, but there are also DJs that would never be able to capture the same feeling that Bicep do with their new live show. 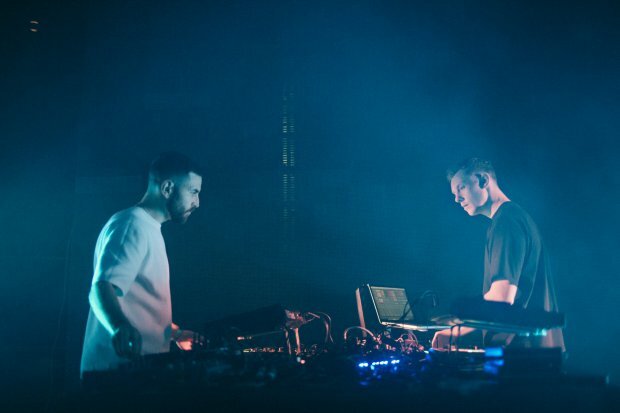 We’re seeing more and more new acts going down the live route, with everyone from the aforementioned Bicep, Ross From Friends (Who supported them on their live album tour) to Baltra turning heads worldwide with their innovative live shows that distinguish them as much more than internet sensations. It’s no longer just a case where we have the huge names such as Justice or Daft Punk playing live sets and then a whole host of DJs bringing up the rear, we have some of the most interesting live acts further down the same bill alongside some of the biggest names that then serve to perfectly compliment the healthy helping of DJs that are occupying festival and club lineups more and more as the months go on. 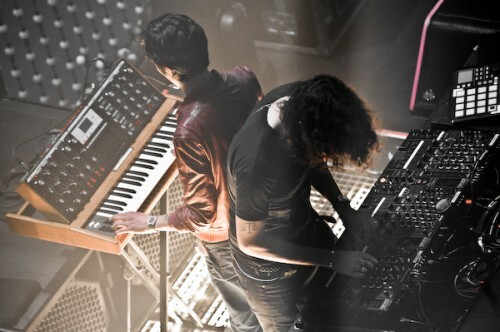 Not only do live shows manage to bring a sense of live musicality back to electronic music, they break up the DJ sets and show how special they can be in their own right, and how something as simple as mixing two tracks together can really make for some of the most special moments one is likely to witness. That co-existence not only gives electronic music an invisible stamp of approval but it also shows that the rave isn’t just about drums and rumbling samples, that it’s equally important to capture a feeling and to bring a room full of people together in unison, the whole reason we’ve gotten this far in the first place.